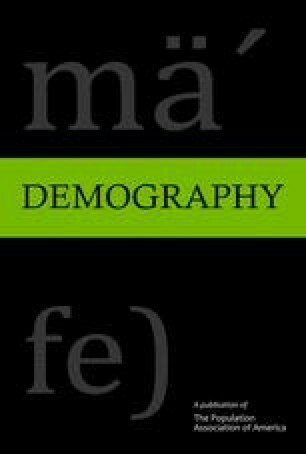 There is considerable disagreement about whether cohabitors are more or less likely to be educationally homogamous than married couples. Using data from the National Longitudinal Survey of Youth, I reconcile many of the disparate findings of previous research by conducting a “stock and flow” analysis of assortative cohabitation and marriage. I find that cohabitors are less likely to be educationally homogamous than married couples overall, but these differences are not apparent when cohabiting and marital unions begin. Instead, the results suggest that differences in educational homogamy by union type are driven by selective exits from marriage and cohabitation rather than by differences in partner choice. Marriages that cross educational boundaries are particularly likely to end. The findings suggest that although cohabitors place greater emphasis on egalitarianism than married couples, this does not translate into greater educational homogamy. The findings are also consistent with a large body of research on cohabitation and divorce questioning the effectiveness of cohabitation as a trial marriage. This research was carried out using the facilities of the Center for Demography and Ecology at the University of Wisconsin-Madison (R24 HD047873) and the California Center for Population Research at the University of California, Los Angeles (R24 HD041022). Earlier versions of this article were presented at the 2005 meetings of the Population Association of America in Philadelphia and the 2004 meetings of the ISA Research Committee 28 on Social Stratification and Mobility (RC28) in Rio de Janeiro, Brazil.